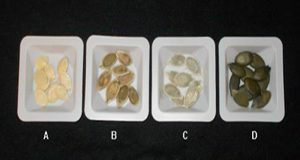 Pumpkin seeds with a thin or soft seed coat are called naked seeds, and are a popular ingredient in many snacks, breads, breakfast cereals, soups, and other edible goods. 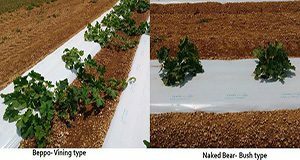 This 5-page document reports on yield and horticultural performance of two naked-seed pumpkin cultivars under south Florida spring growing conditions. Written by Geoffrey Meru and Yuqing Fu and published by the UF/IFAS Horticultural Sciences Department, December 2018. Pumpkin seed is high in oil, protein, and total unsaturated fatty acids and is a popular ingredient in snacks and other foods sold across the country. This 5-page article will discuss the health benefits, production, processing, and nutritional profile of pumpkin seed. Written by Geoffrey Meru, Yuqing Fu, Dayana Leyva, Paul Sarnoski, and Yavuz Yagiz and published by the UF/IFAS Horticultural Sciences Department, November 2017.